Are you thinking about your New Year resolutions? 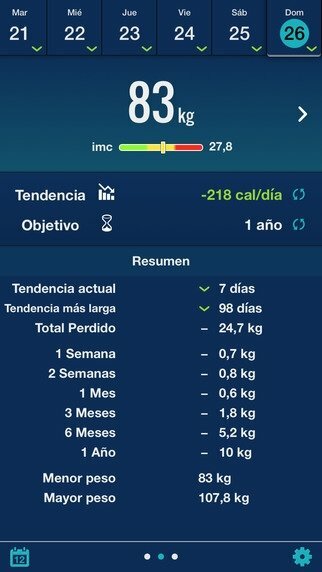 If one of them has to do with losing some weight, but you know that you're going to need some extra help, Weight Diary is one of the best applications to get rid of those annoying kilos. The perfect complement for your diet. 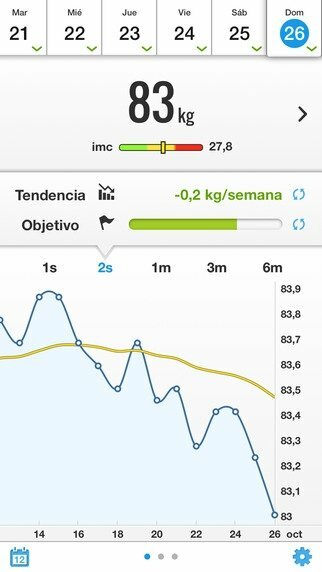 With this app you'll be able to monitor your daily weight, providing you with all the encouragement you need to slim down, helping you to reach your target. Register your weight, kilos lost and estimated target. Show your BMI and body fat. Graphics with trends in time. Calculate daily, weekly and monthly objectives. Reminders to weigh yourself every day. Summary and history of past weights. 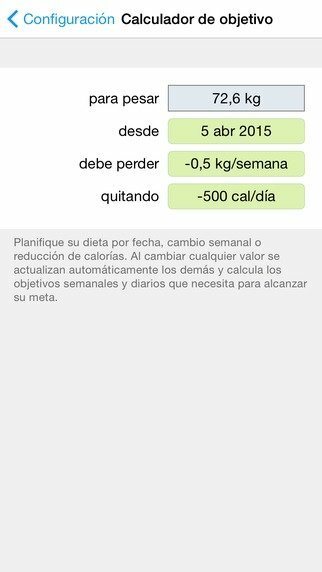 Calculate calories consumed and target calories.